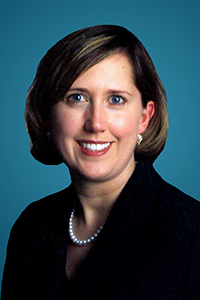 Dr. Melissa Copps received her undergraduate degree from the University of Minnesota. She completed her dental training at the University of Minnesota Dental School where she received her Doctor of Dental Surgery degree. Dr. Copps enjoys all areas of dentistry, including cosmetic dentistry, root canals, and extractions. She is certified in Sedation Dentistry and ER-YAG Laser Dentistry. Dr. Copps is originally from LaCrosse, Wisconsin, and returned to the area in 2004. She enjoys spending time with her husband, Steve, who works as a physician at Gundersen Lutheran, and her daughters Ellie and Kate. She also likes to travel and play golf.